Captain Rick's Sportfishing Center - The absolute best sportsfishing in the Riviera Maya! Serving Playa del Carmen, Puerto Aventuras, Akumal, Tulum, Puerto Moreles, Cozumel and Cancun. Troll for sailfish, blue marlin, white marlin, wahoo and dorado right outside the Puerto Aventuras marina! 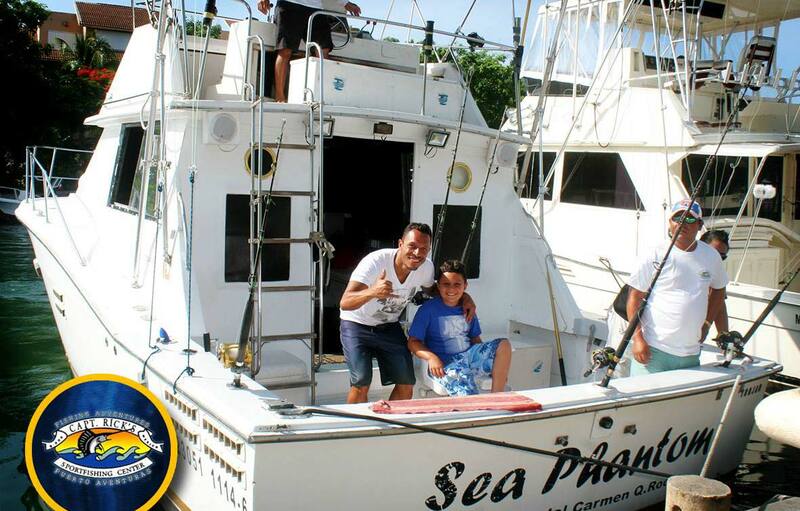 Year round deep sea sport fishing charters with English-speaking captains. Many boats to choose, everything from a 23' Sea Craft to a 48' Viking. Activities include trolling, drift fishing, snorkeling and swimming. Captain Rick's sport fishing boats are handicap accessible, please inquire for more info. Get on board with Captain Andy and experience the best fishing in town! Sail along the coast of Puerto Aventuras in search of wahoo, tuna, mahi mahi and more! Captain Andy is the only American bilingual captain chartering the Riviera Maya, having fished these grounds for over twenty years. 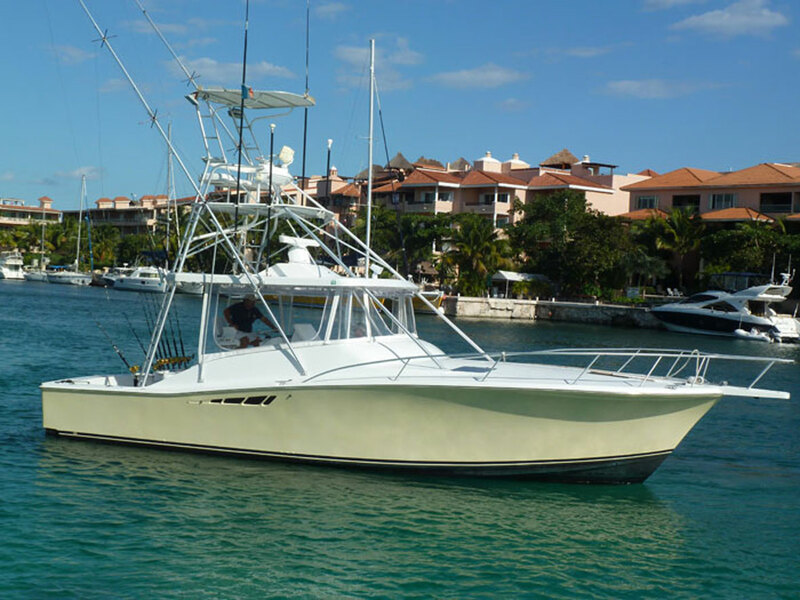 When fishing with Captain Andy you will be aboard the “Flyin Fish”, a 38' Ensign Sports Fishing Boat powered by two 315 Cummins diesels. Capt. Andy picked this boat because it has one of the best flybridge designs seen. Several people can sit and enjoy the views, breeze and talk comfortably from the flybridge with plenty of shade. The "Flyin Fish" is perfect for 6-10 anglers. 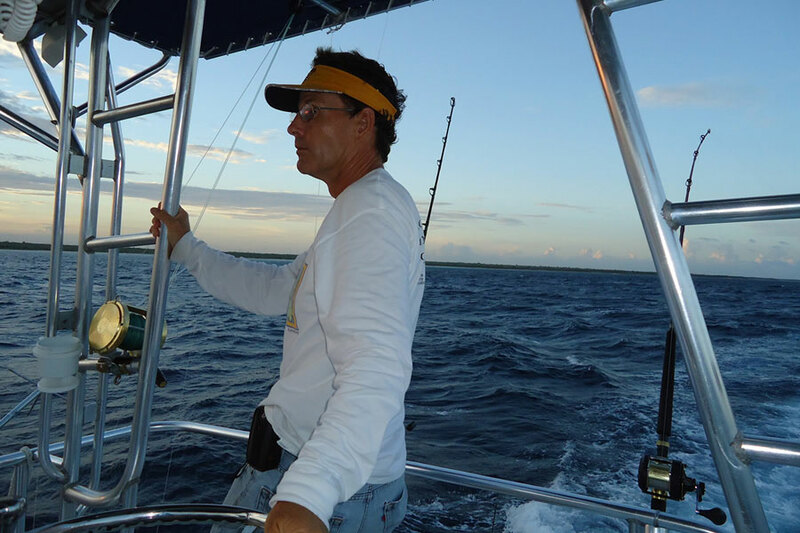 Captain Espadas was born on the island of Cozumel and has been fishing the area for the last twenty five years. He takes great pride in knowing this area and enjoys sharing that fishing knowledge with all of his clients. Our staff is here to make each trip an enjoyable experience for all of our clients. Should you need something special that would make your charter more enjoyable please let us know and we will do our best to have it for you when you arrive. So sit back enjoy the local atmosphere, friendly staff and let us take you fishing. Maya Riviera fishing charters offer an exhilarating experience for sport fishing enthusiasts of any level.